Sometimes you have to make the best of a bad situation. 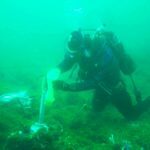 Some of our research focuses on the nearshore benthic community, which requires SCUBA diving. 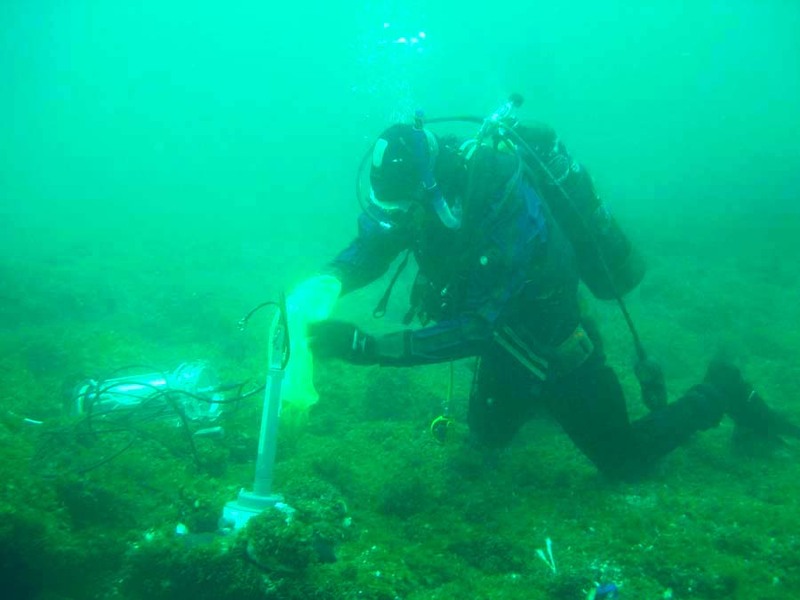 In this image, benthic chambers are being used to measure mussel metabolism and nutrient excretion. 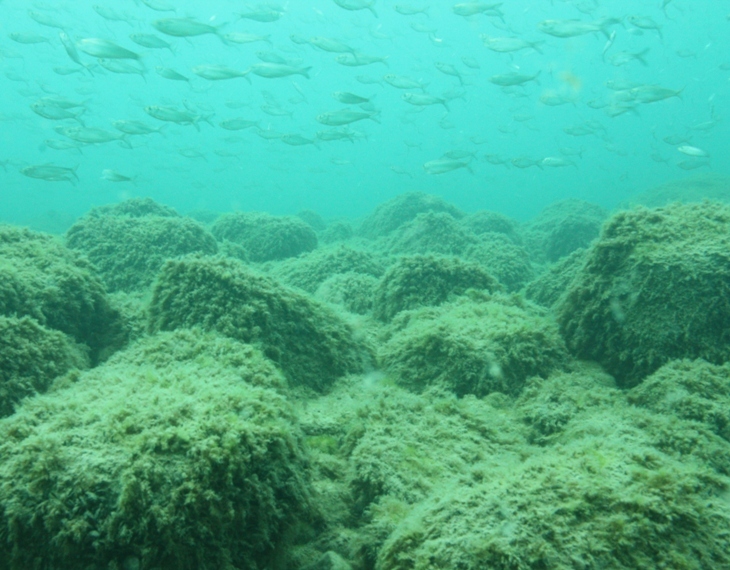 Two of our main research interests: nuisance algae and fish. 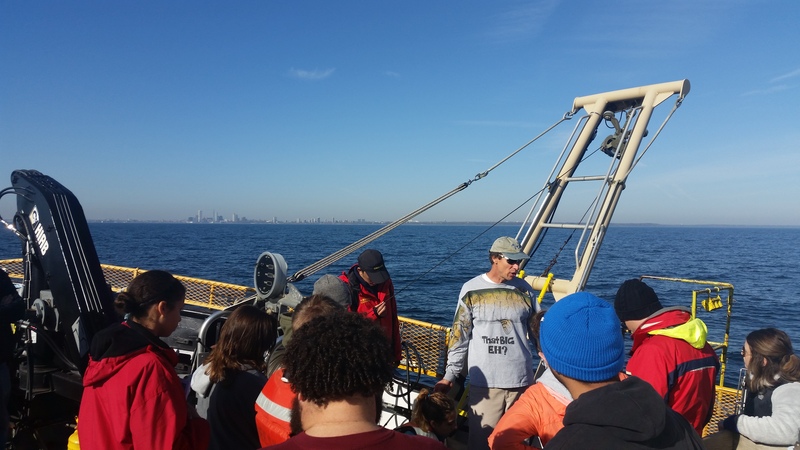 Conducting research on Lake Michigan aboard the RV Neeskay with a class of students. 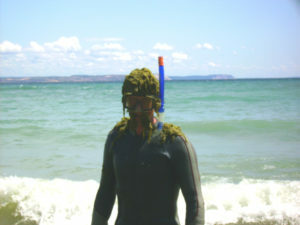 What got you interested in science and how did you end up as a Great Lakes scientist? It’s hard to say exactly what motivated my interest in science. I think it was a combination of things – spending a lot of time outdoors, a father who was interested in natural history, serendipitous discoveries while browsing through an old set of the Book of Knowledge encyclopedia as a kid, and playing around with electricity and things that go bang. When I was young we spent summer vacations on Georgian Bay, and I remember telling myself that I was going to try to get a job that allowed me to stay near water all the time. My first degree was in marine biology, and my first career job was as a research officer in Lake Malawi National Park (East Africa). But family ties and a love for this region always pulled me back to the Laurentian Great Lakes. Describe your research related to the Great Lakes. I’m interested in how aquatic ecosystems work, so I like to look at the big picture, which includes lake physics, chemistry and biology. I guess that makes me a limnologist. Within that context, some of the topics that I focus on include algal ecology, nutrient dynamics, and food web dynamics. 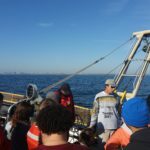 Specific projects that my students and I are currently working on include the effects of invasive dreissenid mussels on phosphorus cycling and trophic dynamics in Lake Michigan, causes and consequences of nuisance benthic algae growth, and carbon dioxide exchange between large lakes and the atmosphere. Describe an experience you have had working with educators or the community. What was something that surprised you or that you especially enjoyed about the experience? I recall a talk I gave to a group that was made up of a mixture of lakefront property owners and local farmers. There were some strong opinions about what was causing water quality problems in Lake Michigan. The next day one of the organizers emailed me and asked, “Do you have near fist fights at all of your talks?” This may not sound like an enjoyable experience, but it made me realize that I like presenting complex environmental issues in a way that makes them understandable to the public. 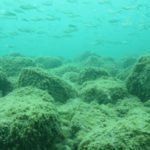 Disagreement often arises from an incomplete knowledge, and so educating the public about our research findings is an important first step to promoting an informed, balanced discussion about Great Lakes issues. I hope that the audience at this particular presentation went away with less acrimony than when they arrived. Why do you think it is important for scientists to share their research with educators? Science leads to the discovery of new knowledge. And the great thing about knowledge is that it grows when you give it to someone else, and sharing it increases the likelihood that it will be advanced further. Sharing knowledge with educators is one of the best ways to spread that knowledge. What do you think are the most critical skills for students interested in a career in science? There are a few skills that are important. Obviously a good understanding of basic science – biology, chemistry, physics – is valuable. When I was an undergraduate student, I often thought I would be learning the really important stuff when I went to graduate school. I later realized that the really important stuff was in my undergraduate courses. Other important skills are communication (especially writing) and math. Even mechanical skills can be very useful. And really good scientists are able to be very meticulous and precise in the way they do research while at the same time being imaginative in the questions they ask. Every month, we select an outstanding scientist who embodies the CGLL mission and inspires people to take action to improve the health of the Great Lakes watershed.